"a l l t e r v a t n / everything is water. 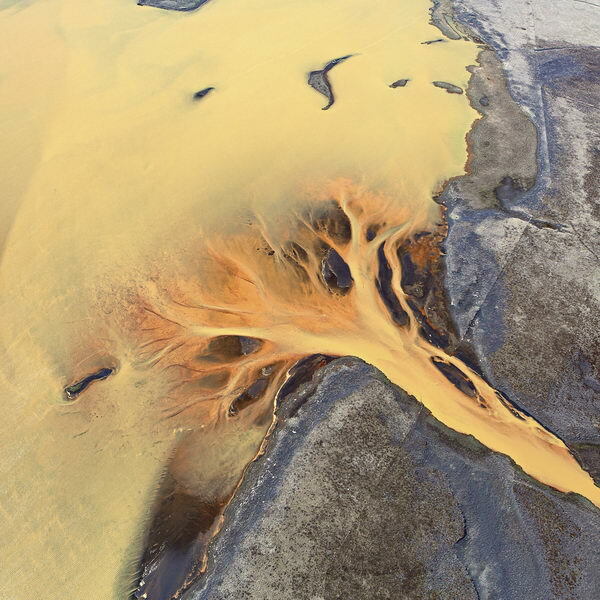 A series of aerial photographs of Iceland's volcanic rivers and lava wastelands. The images illustrate the unique geothermic landscapes of the country as viewed from beyond the clouds, presenting an unconventional perspective on traditional landscape photography."